I think I would skip this one if I were you. In the first part of this post, I’ve talked at length about why I think Spufford’s book ought to be fuel for the bonfire of history, but I’d like to finish by turning from Spufford to the culture which embraces him, because his book, its rhetoric and overall vibe, can help us to identify several trends in culture which stand contrary to the Christian faith. So, then, here are three final comments to judge the spirit of our age. First: Irreverence is not ‘freshness,’ and piety is not inauthentic. Somewhere along the way we’ve been hoodwinked by a falsehood. We’ve been told that Christian piety is hypocritical and pretentious, and we’ve believed our accusers. As a consequence, we’ve largely thrown piety under the bus. More and more Christians look just like everybody else—we swear, we get drunk, we sleep around, and we do all these things in the spirit of attempting to be ‘relevant,’ ‘transparent,’ or ‘authentic.’ Spufford is a nice exhibit of this, and one of the key places we see it is in his language. See, Spufford likes to swear. Quite a lot, really. And this would be unremarkable except for the fact that he’s writing a book about Christianity, and that should give us pause. A worthy and wholesome read. Why should this be? 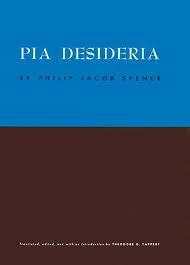 Philip Jacob Spener, in his classic book Pia Desideria, observes the following, that “the study of theology should be carried on not by the strife of disputations but rather by the practice of piety” (PD 50). Just prior to this Spener had spoken about the roles appropriate to defenders of the faith. In the process he lamented a culture that had become more disputatious than concerned with God’s holiness. There he observed the following, “Not only should we know what is true in order to follow it, but we should also know what is false in order to oppose it” (PD 49). Spufford’s book fails catastrophically at precisely this point, because it admixes what is true with what is false, so that we, the readers, are neither equipped to cling to what is true, nor challenged to reject what is false. Somehow, oddly enough, Spufford has managed to write a book about God that claims to defend the faith while being impious. This casts light again on why Spufford’s book has such cultural appeal. They perceive its cultural relevance, and as a consequence label the book as ‘fresh.’ But to this I say again, irreverence is not freshness. It might be bracing, or temporarily humorous, but in the end irreverence is more akin to immaturity. It lacks depth. It exalts stupidity. And this brings us back to the myth that culture upholds: that piety is inauthentic. As if choosing the high ground makes you a liar, or a hypocrite. The critical truth is this: possessing a standard and attempting it does not make one a hypocrite. Just because I am a failure with respect to the law of God doesn’t mean I take that law and flaunt my breaking of it as a way to prove my ‘authenticity.’ The proper study of God ought to generate piety, and the proper presentation of apologetics ought to present what is admirable in Christian piety, rather than actively undermine those who strive to uphold it. 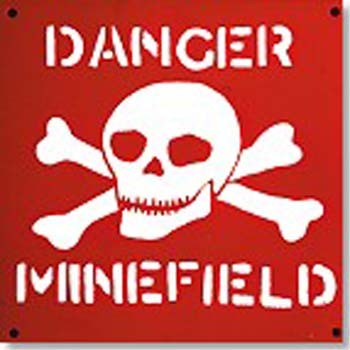 Second: You cannot effectively fulfill the second greatest commandment without reference to the first. Jesus, when asked about the greatest commandment, answered that we should love the Lord our God with all our heart, mind, body, and strength, and that the second greatest commandment was to love our neighbors as ourselves. It’s a high calling, and fulfilling it will be impossible if we don’t properly order our operations. If we don’t define the terms, then we cannot fulfill the task. In short, if we don’t know what ‘love’ is, with reference specifically to Who God is and how He defines love (through the sending and sacrifice of His son), then we won’t have the faintest notion of what it means to love our neighbors as ourselves. And yet this is precisely the thing that many are attempting today—to love our neighbors without reference to the love of God. 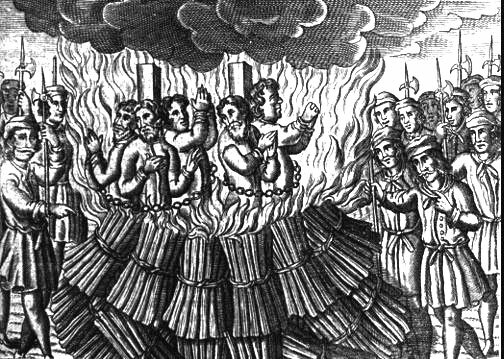 We see this in Spufford’s book when he talks about hell. There his words reveal that he is judging hell based on his idea of love, rather than God’s. If we are to take God’s idea of love as authoritative, then Exhibit A of God’s love is Christ on the cross, dying for our sins. We see that God, who is Love, demands an accounting for sin, and that Christ, who shows us God’s love, stands in the place of our debt on our behalf. Hell is the necessary consequence of rejecting the offer of God’s forgiveness in Christ. When Christ hasn’t paid for you, you pay for yourself. And so Hell, far from being an invention of Spufford’s HPtFtU, is actually a necessary consequence of it. In Spufford’s estimation, we will be fulfilling our “central” commandment when we “overrule the poetry of custom” with the love of our neighbors. And this sounds nice because, of course, it is partly true. But if our love is going to be meaningful or, might I say, principled, then it must be a love that is ontologically grounded in the love of God. 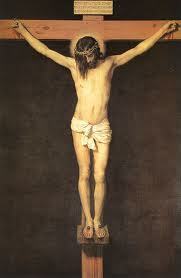 Without His love, or without reference to His love, we are pathetically unmoored and quite frankly incapable of action. Or at least incapable of good and godly action. It will be our best ideas and best intentions that are the apex of our praxis in the world, and not God’s best ideas or God’s intentions. The result is a thoroughly human Christianity without reference to Divine standards. It would be an un-godly love, if you will. 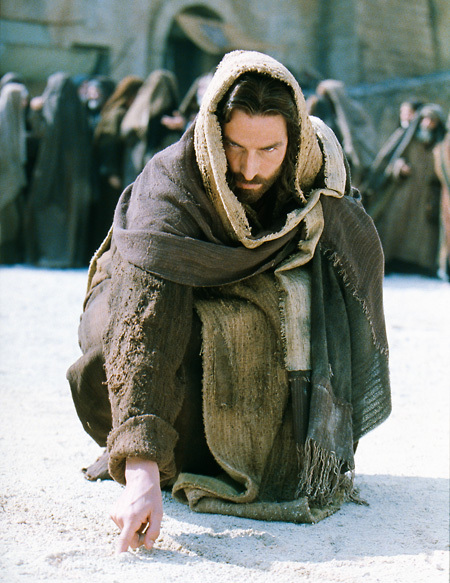 Ask the critical question: Why does Jesus write in the dirt? Where else does someone’s finger write out messages in the Bible? What were those messages?! But if we hold to Divine standards—that is, if we take Scripture seriously as a way to know and love the Lord our God with all our hearts, minds, bodies, and souls—then those standards are going to have particular impact on our behavior, both sexual and otherwise. And while, true, this doesn’t mean that we take on the Levitical laws about mixed fabrics and goats boiled in their mother’s milk, it does mean that we take with absolute seriousness both the purity and otherness of our God, and how that purity impacts our practical relationships in the now. True, as Spufford claims, Jesus makes no particular claims about human sexuality (excepting, of course, his command to the woman caught in adultery to “Go and sin no more”). But Jesus does claim that “I and the Father are one,” and that when we hear Jesus’ voice we are hearing the Father’s. To separate Jesus from the sexual ethics of the whole Judeo-Christian system is to ignore Jesus’ own words about his revelation. Jesus wasn’t required to say everything because we have a way to listen to his voice in both the Old Covenant as well as the New. 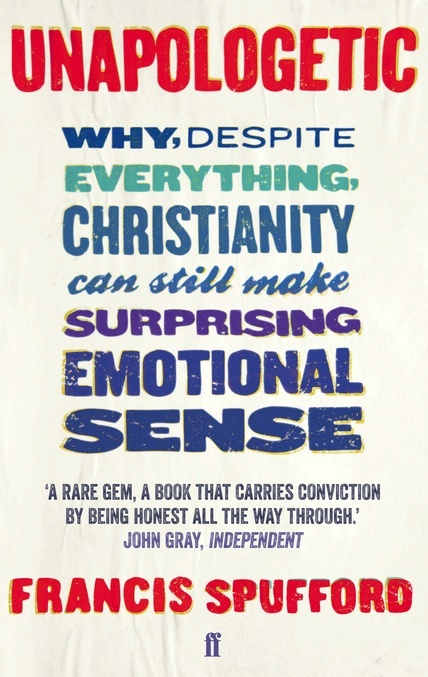 Third: Belief in Christianity is not based on feelings, but on truth, which trumps feelings. Paul in 1 Corinthians 15 claims that if Christ did not rise from the dead, then we are to be pitied above all people. The Christian faith, in other words, is grounded on historic events, not emotional states. Personally, I believe in Jesus because he rose from the grave and was revealed as God incarnate, not because I happen to like Jesus. And this is really the gravest and most critical lack of principle that saturates Spufford’s book—the principle of the truth. When my emotions are primary, then I am free to accommodate the truth to my feelings. Truth becomes malleable, adjustable. But when truth is primary, then my feelings must accommodate the truth. There will be days when I feel the faith and am enlivened and invigorated. There will be days when I feel dead and faithless. But my feelings on those days are ultimately irrelevant, because I have banked my life on what is true, rather than what I feel. This, in the end, is the most fatal flaw which we make today—we have made truth a convenience, rather than a conviction. We are comfortable with contradicting ourselves. We chase fleeting emotional states rather than the bedrock of faith. And I might add as well that this is a fatal flaw in any apologetic, because under this logic Spufford isn’t defending anything but his own perception. There is no outer reference to give meaning or significance to his claims. It’s just Spufford talking about Spufford’s feelings and neither really about God, nor about Who God has revealed Himself to be in the Christian Scriptures. It’s the best for a reason. A good apologetic needs to maintain the right ordering of these things—truth first, emotions attendant—and of the apologetics which seek to accomplish this task, none is superior to C.S. Lewis’s Mere Christianity. In fact, I suggest that it is precisely this ordering, this balance between head and heart, which makes Lewis’s book so enduring. In it he presents what is true about Christianity, and uses his images and metaphors to connect those truths to the human heart. His apologetic does not seek to escape from Christianity, but to embody it as accurately as possible. There is no need to distance himself from what is unpopular because his primary goal is to anchor himself on what is eternal. That difference makes all the difference in the world. This brings us back, at last, to Spufford’s book as a whole. In it he has distanced himself from Scripture, belief in Scripture, and belief in value—and this distancing process has made his ‘apologetic’ very appealing. Perhaps it is even appealing precisely because he is no longer defending anything but his own impressions, which are now unmoored and without reference to anything resembling historic Christianity. His opinion is no longer a thing we can argue about—it is just his opinion. This makes his un-apologetic tragically appropriate for our present culture—the elements of culture we celebrate are exhibited to great effect in its pages. And this leads me once again to observe that while you might enjoy what you’ve read, what you read will not have been very Christian.